A job description for a given position results from a process known as job analysis. This is when human resources or company leaders analyse and clarify the requirements for a job. A traditional job description emphasizes the duties and responsibilities of an employee. Job Specification is a listing of incumbent’s qualification, skills, and abilities, that are needed to perform a particular job efficiently. Competency modelling takes the description a step further. It outlines qualities and competencies necessary for success in a job. A competency is a set of skills, knowledge, abilities, attributes, experience, personality traits and motivators which has a predictive value towards an individual effectively performing in a job. 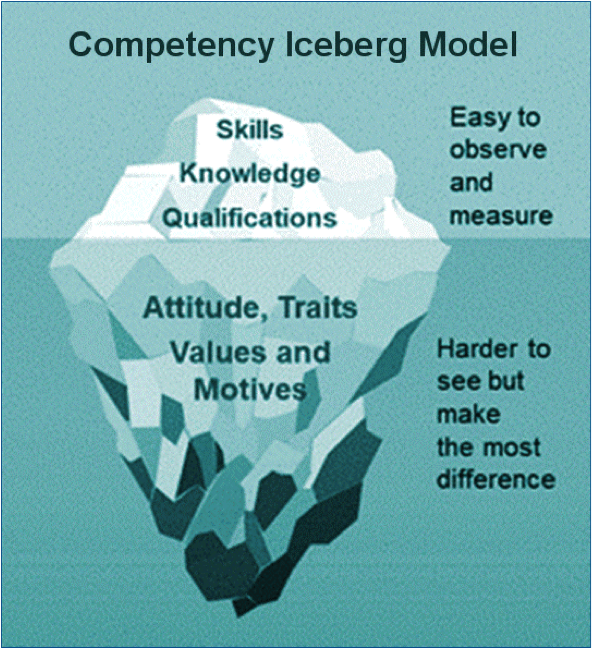 The iceberg model for competencies helps explain the concept of competency. The competency has some components which are visible like knowledge and skills but other behavioural components like attitude, traits, motives, personality traits, self-concepts, beliefs, values, and interests etc. are hidden or beneath the surface. 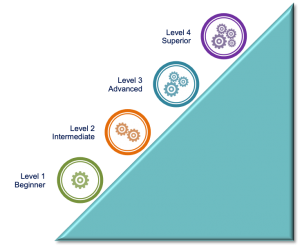 The implication of the Iceberg Model is that the lower levels of the pyramid drive the higher levels, implying that the traditional knowledge, skills, and abilities (KSAs) are merely a tip of the iceberg in assessing and predicting an individual’s potential for successful performance. Competencies are a combination of knowledge, skills, abilities and OTHER individual characteristics (often called KSAOs, including but not limited to motives, personality traits, self-concepts, attitudes, beliefs, values, and interests) that can be reliably measured and that can be shown to differentiate performance. Competency modelling is the identification, definition, and measurement of the KSAOs that are needed to perform successfully on the job. 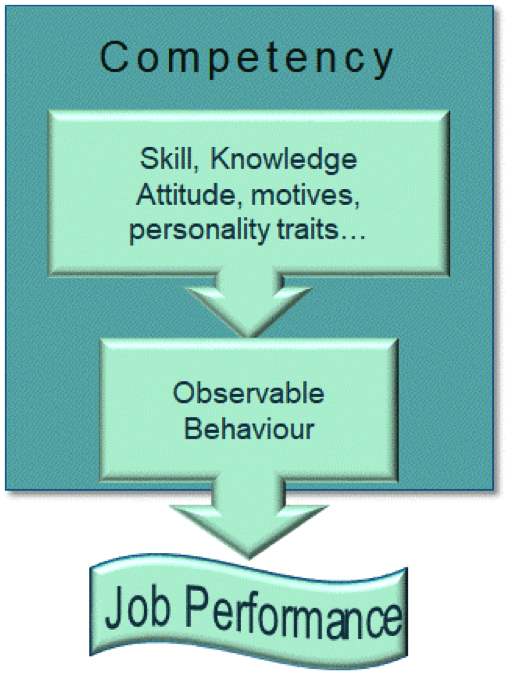 A behavioural indicator is a statement of what can be observed from an individual manifesting the competency. It provides objective evidence that the individual possesses the competency, and shows what effective performance looks like. 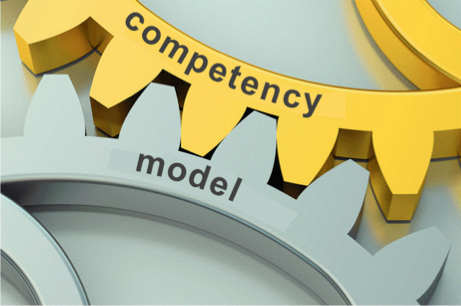 Competency modelling is increasingly important for workplace learning professionals tasked with learning results. Research suggests that some individuals may be 20 times more productive than others. In the traditional method of hiring, most of the organisations looked at just the visible components of competencies; the knowledge and skills. 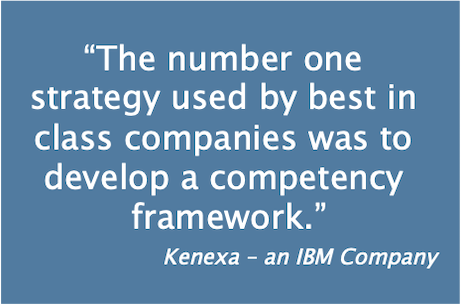 Competency models have emerged as valuable tools. They can be created for specific jobs, job groups, occupations, industries and organisations. Competency models are widely used in business for defining and assessing competencies within organisations in both hard and soft skills. Competencies have been become a precise way for employers to distinguish superior from average or below average performance. The reason for this is because competencies extend beyond measuring baseline characteristics and or skills used to define and assess job performance.